Ambition is a word tainted with negative perceptions. Someone who is ambitious is often perceived as caring only about what he or she is ambitious for. If someone is ambitious in their career, then their family might suffer. On the other hand if someone has no life ambitions then we say that they are lazy and are not trying to accomplish anything in their life. How can we have it both ways? In the church ambition is often seen as a negative thing because of the way people have been ambitious in the past. When most people are ambitious there main goal is for themselves to rise up, become popular, lead a group, or get recognition. Unfortunately that is the common ambition because we are all sinners. Ambition needs to come back to the church, not for our gain, but for His. We need to be seeking glory for our Father in heaven, no matter if we get even so much as a nod of the head in our direction. I want to leave you all with a few more quotes from the book and if you are struggling to be ambitious for God, then check this book out. Harvey, Dave (2010-05-04). 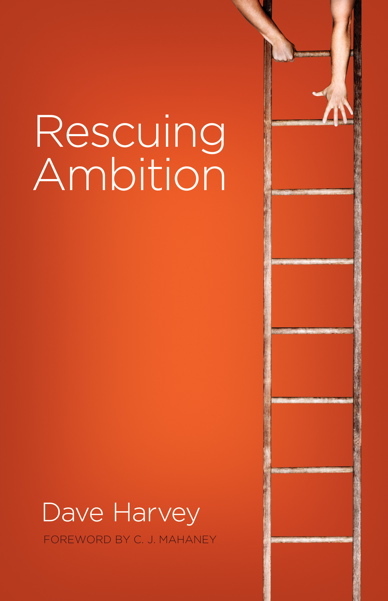 Rescuing Ambition. Good News Publishers/Crossway Books. Kindle Edition. Mack Stiles offers a wealth of answers, ideas and stories in this heads-up, hands-on evangelism handbook. His creative strategies for reaching an ethnically, culturally, economically, educationally, geographically and ideologically diverse world with the best news ever are drawn directly from his own work as an evangelist in today’s student world. In Speaking of Jesus he shows readers how to keep their eyes open for “divine appointments,” how to approach others with a servant spirit, how to cross relational barriers, how to simply tell one’s own story of faith, and how to answer questions with honesty and confidence. Speaking of Jesus may well be an Out of the Saltshaker for the 1990s and beyond. With contagious enthusiasm, Stiles stresses that evangelism isn’t about exhibiting superhuman courage or perfecting specialized techniques or exercising extraordinary gifts. Instead, he shows that people of faith can use everyday situations and everyday language to pass on the simple–and simply wonderful–news about Jesus. Previous Previous post: Was that you God, or just me?